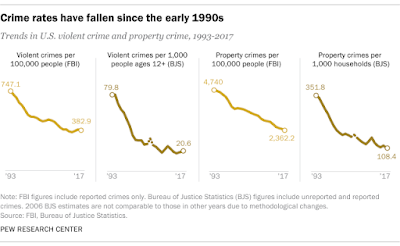 Markham's Behavioral Health: Violent Crime down in U.S. 49% in last 24 years. One of the few things I agree with Donald Trump on is his idea of "fake news." The news has us afraid of all the wrong things. Americans have lost their perspective and their grasp of reality is very distorted. 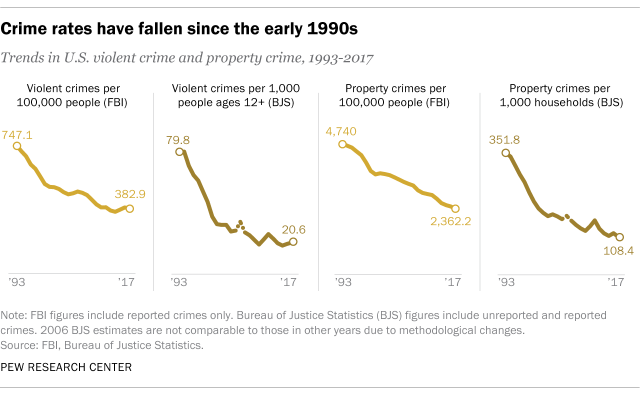 While violent crime is way down. deaths due to substance use disorders such as opioids are way up. If we add DWI fatalities into that number, the people who die in the U.S. from self ingested substances is in the tens of thousands. We needed be scared of the other but our own personal demons and behaviors.